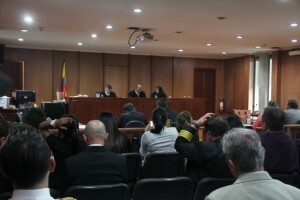 BOGOTA - The Superior Court in Colombia ruled last week Friday that the pilot strike is illegal. The Court considered that the airline provides an essential service and therefore its pilots cannot go on strike. The ruling was awaited by the airline and its pilots who were represented by the Association of Aviators of Colombia (Acdac). Even in recent days, Avianca's majority shareholder, Germán Efromovich, said that if the strike were declared illegal, there would be layoffs in the company. In addition, the Court stated that the pilots could have gone to other instances or use other tools prior to the cessation of activities, but this was not the case and ended up affecting the Colombian population in general. “This Court stresses that the right to strike is fundamental to the political exercise of a country, it should be noted that Acdac met the requirements of law at its meeting on September 15,” said the magistrate.